Queue multiple tracks directly in your dashboard from the Media Library. 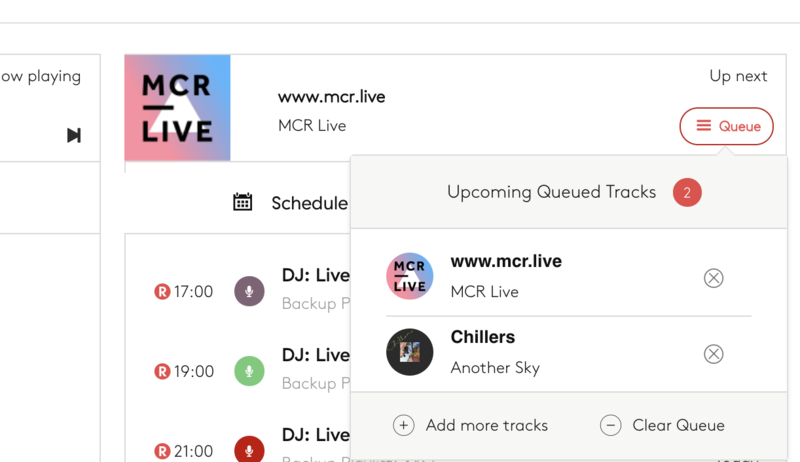 Whether you are taking listener requests or just got a catchy song stuck in your head that you want to play, you can now take action and queue multiple tracks directly in your dashboard. To add tracks to your queue, head to Media > Tracks in your Radio.co dashboard. Click the Actions (...) button next to the track you wish to add then click Add to queue.